I recently was a guest participant on a Twitter chat with #educoach where the topic was exploring instructional coaches’ work with Professional Learning Communities (PLCs).The facilitators offered a series of questions to spark the sharing. Here are the questions, some of the tweets I shared and my reflections on the responses. The entire chat is archived and accessible to you here. In what ways are you as an IC currently interacting with PLCs? I shared that effective PLCs can allow coaches to multiply the impact of their time. In schools where ICs are working with larger numbers of teachers, it is extremely difficult for coaches meeting with individual teachers to have a measureable impact on overall student achievement. By being a participant in PLCs, an IC can generate shared exploration of student work, collegial critical thinking, creative ideas, and supportive risk taking, applying new approaches in classrooms. A PLC conversation can serve as a pre- observation conference with all the team members readying the coach to do observations in each of their classrooms. Observation feedback can then be shared either individually with teachers or collectively in the next PLC. While discussing data or student work, questions will likely emerge that can be explored in coaching observations. I believe that PLC conversations present natural opportunities for coaching observations. This may be the best way for coaches in schools where the coaching process is new to find entry points into previously “closed” classrooms. How do you get PLC conversations to focus on student achievement results? 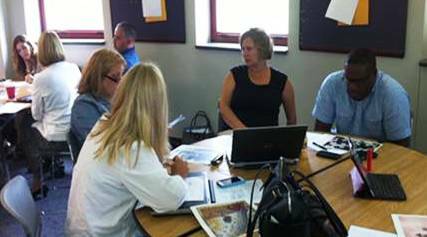 ‏Participant @LauraKJasso suggested that PLCs spend the 1st sessions designing a shared vision based on student achievement. I believe that definitely is key. PLC’s need to be results focused and student achievement is the result. Too often PLCs become focused on products: pacing guidelines, common assessments, instructional activities. While all this work may occur in PLCs it is crucial that our assessment of what we accomplished not be measured in tasks done or deadlines met but in student learning. I think that sharing specific learning goals for individual students can provide the ongoing focus on achievement. 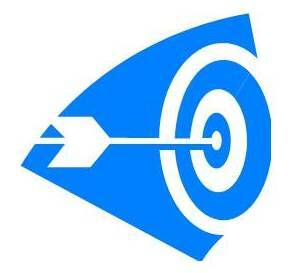 As assessment information becomes available we identify which students are ahead of target, on target, off target. Then strategize a team response. Participant @Jyoung1219 noted, Pre-assessments help set goals, track progress, & promote reflective thinking at the end. The first suggestion I offered created a greater number of “retweets” than any other I ever posted: When looking at student work or data ask, ”What do the students need us to learn?” This thought really helps me keep clarity on why I am in a PLC. I’d like to get a greater learning outcome than I currently am. If I knew what to do to get it I would. Therefore I need to learn something. My PLC is an ideal place for me to learn and thus impact my students’ learning. When coaches model in classrooms they can ask teachers to focus on what students are doing. Getting a clear picture of the desired student learning behavior is crucial to the teacher understanding why the particular teacher behavior is important. What do you do to move PLCs from being a franchise meeting to being a team meeting? As coaches cause more teachers to spend coaching time in each other’s classrooms, the quality of teacher critical thinking and learning in PLCs will increase and the greater pay-offs of student success will be achieved.